2016 Sanctuary Cove International Boat to feature Queensland’s largest display of sailing and powered catamarans. SCIBS 2016 to feature massive display of luxury catamarans. Multihulls line-up includes Multihull Solutions, Multihull Central, Leopard, MEC, Horizon, Lightwave, Nautitech, Queensland Yacht Charters and The Windcraft Group. Sanctuary Cove International Boat Show 2016 is set to feature Queensland’s largest multihull boat display. Australia’s major catamaran dealers and distributors will showcase their latest powered and sailing cats, along with presentations on how to achieve work-life balance through ‘Sea-batticals’ – extended time away cruising. SCIBS general manager Johan Hasser said the strong showing reflects the rise in popularity of cats. "We have seen the emergence of a catamaran superhighway along Australia’s eastern seaboard up to Hamilton Island and the Whitsundays." Exhibitors at SCIBS 2016 will include Multihull Solutions, Multihull Central, Leopard, Marine Engineering Consultants (MEC), Horizon, Lightwave, Bavaria (Nautitech), Queensland Yacht Charters and The Windcraft Group. John Cowpe, MD of The Multihull Group (part of Windcraft) announced the Australian debut of the new Lagoon 450 SporTop and Lagoon 40 Motor Yacht at SCIBS. 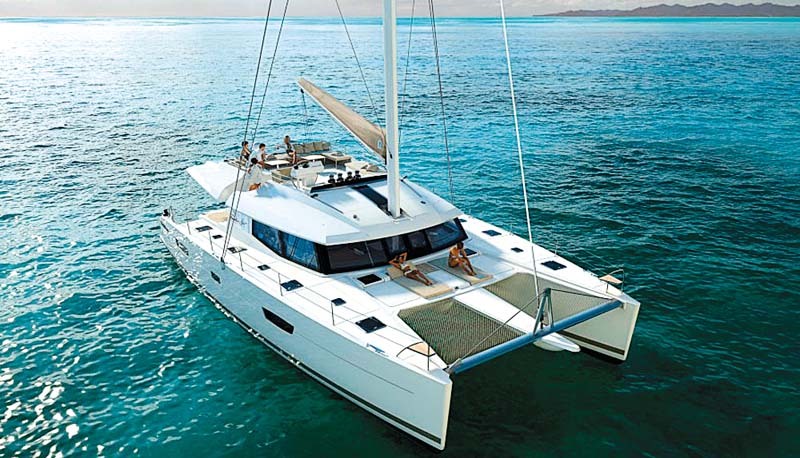 "Lagoon is one of the world’s best-selling catamarans. They are constantly evolving, innovating and adapting to client feedback," he said. Noting the rise of power cats, he said: "They can take you anywhere, offer great fuel economy and are easy to operate." Gold Coast-based MEC will have a new 15m luxury power cat on show, built to the owner’s exact specifications. "Aluminium doesn’t require moulds, so it suits custom designs. You can have anything from a spiral staircase to an extended swim platform," MD Murray Owen said. Find hundreds of catamarans for sale.